Claudia believes in empowering her clients to take charge of their own health and uses various modalities to assist her clients in the process. She is a Quantum Biofeedback Specialist and Raindrop/Vibrational Raindrop Therapist with years of experience. Claudia was born and lived in Germany until she moved to Singapore in 1998. 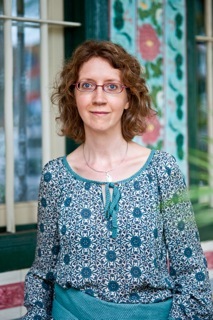 She established Essential Healing in 2010 and joined Gallery Helios in 2011. Before turning towards holistic health Claudia worked many years in the corporate world and its therefore well aware of the increasing stress and pressure most of her clients have to face daily. Regardless of which of the above modalities is used Claudia believes in the ability of the body to heal itself once the stressors causing the sicknesses have been removed, the body and mind is able to get back into balance. She has seen that many sicknesses can be prevented by managing stress on an emotional and physical level e.g using the Quantum Biofeedback device or/ and essential oils. Her passion is to share about the usage and benefits of pure therapeutic grade essential oils. In 2007 Claudia discovered the Young Living essential oils which truly changed her life. Not only did they change her own physical and emotional well being, but she has also witnessed the change in many of her friends and clients. Besides giving Raindrop and Vibrational Raindrop sessions, she also teaches Essential Oil workshops and gives individual Aromatherapy sessions.